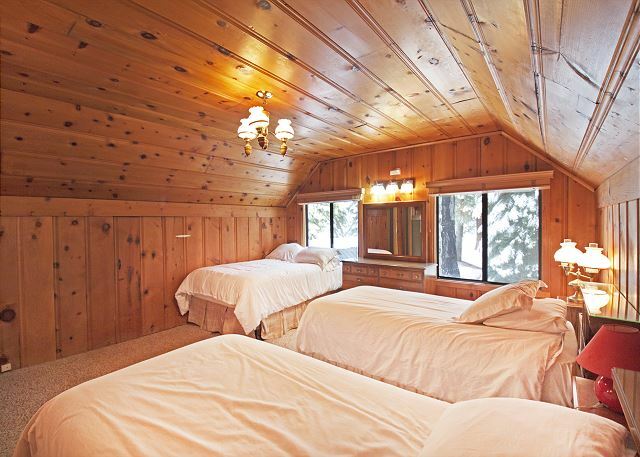 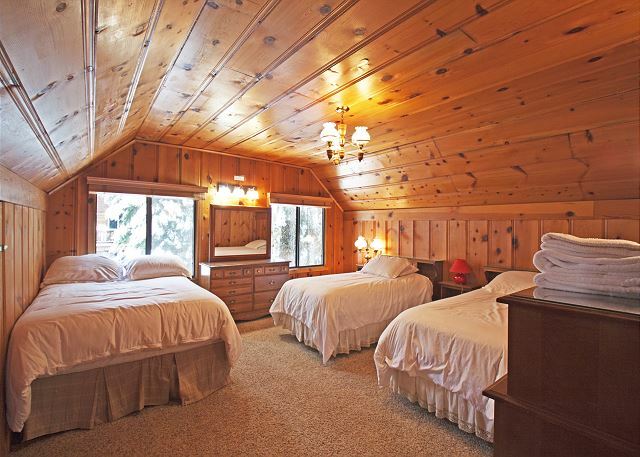 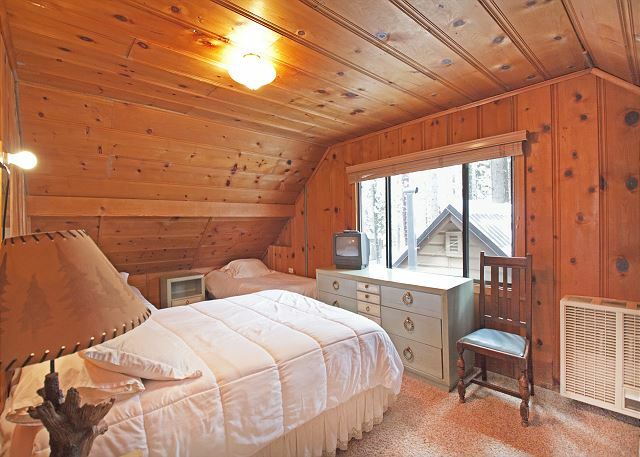 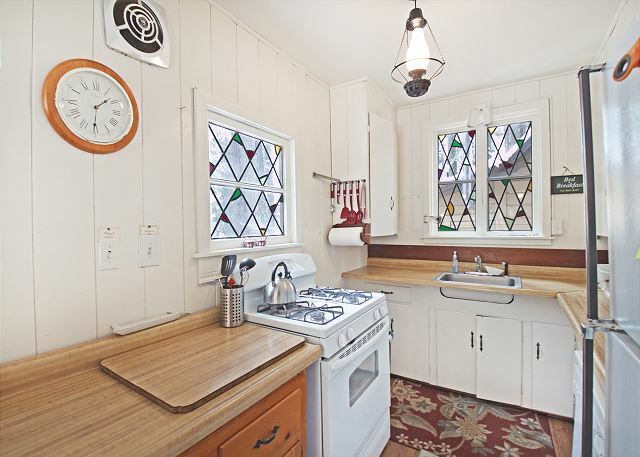 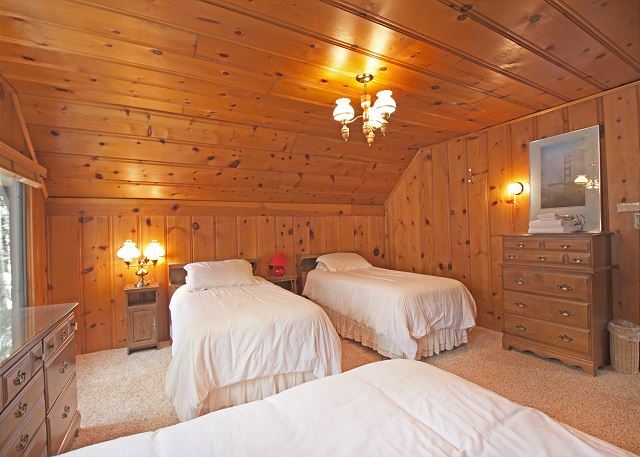 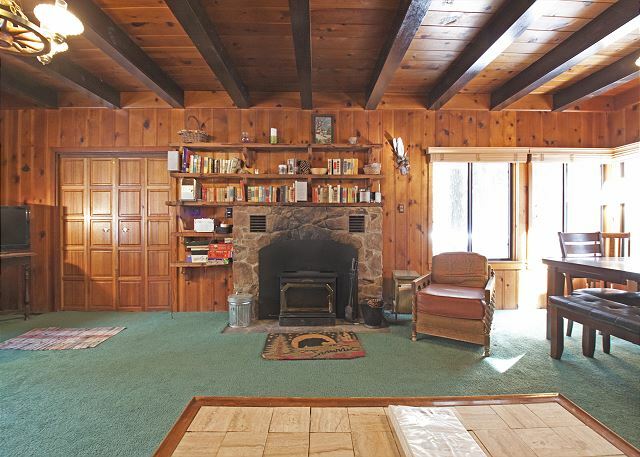 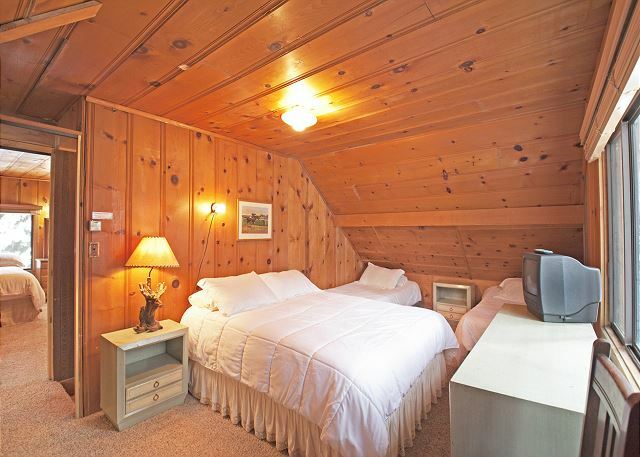 The Quandt Cabin is a charming Old Tahoe style 3 bedroom, 2 bath home. 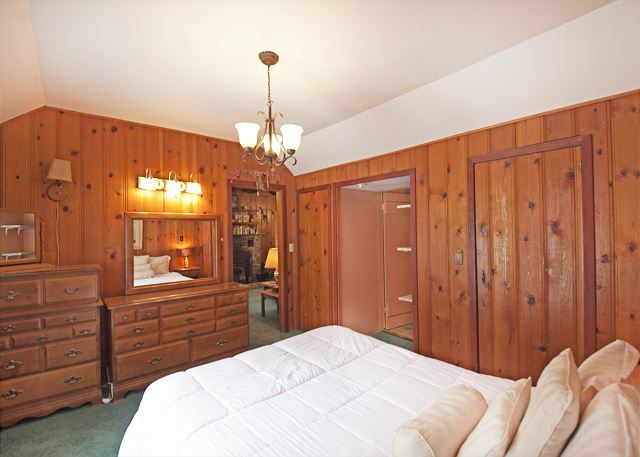 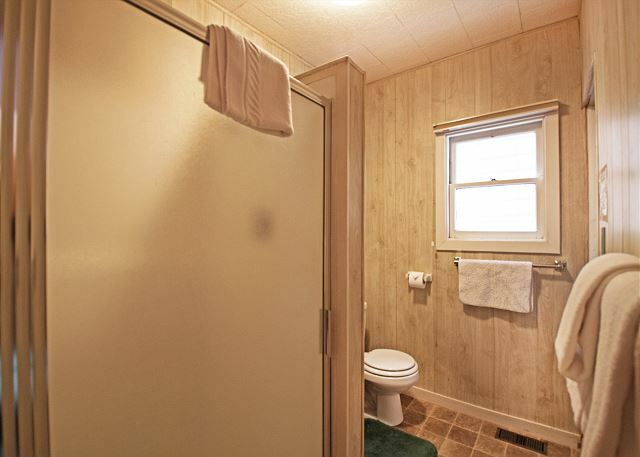 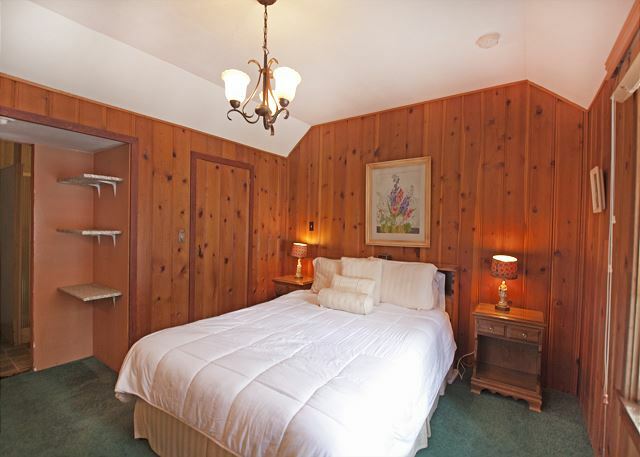 It has a knotty pine interior with forest green colored carpeting. 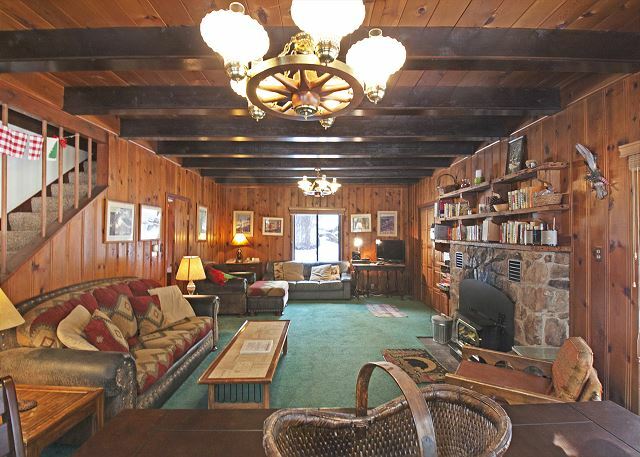 There is a large living room area with stone fireplace, television with cable, VCR, DVD, telephone, wireless internet and washer/dryer. 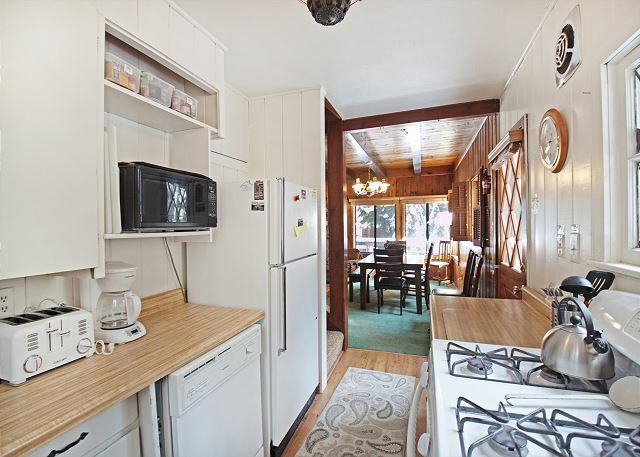 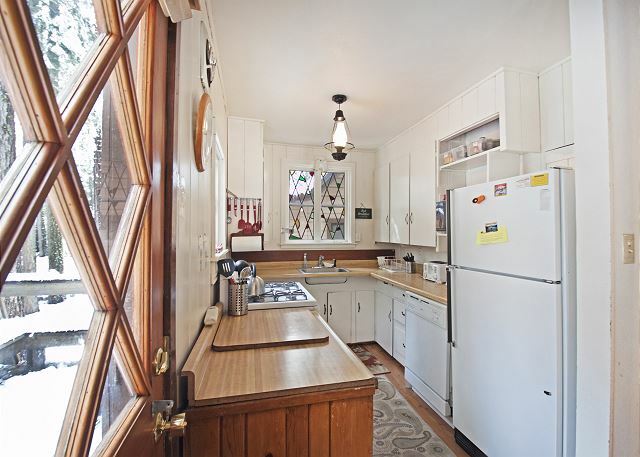 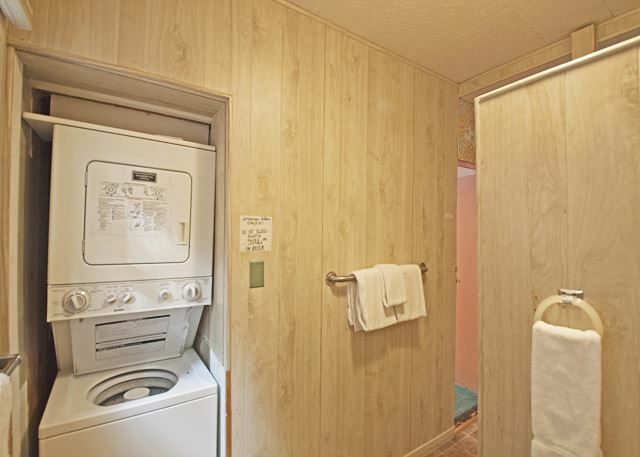 The kitchen is small, but has a gas range, microwave, dishwasher, pots, pans, dishes, etc. 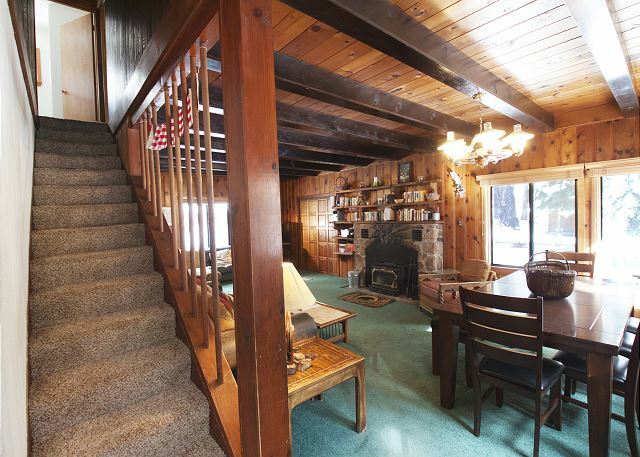 There is a large deck which wraps around the back side of the house with patio furniture and a charcoal barbecue (summer only). 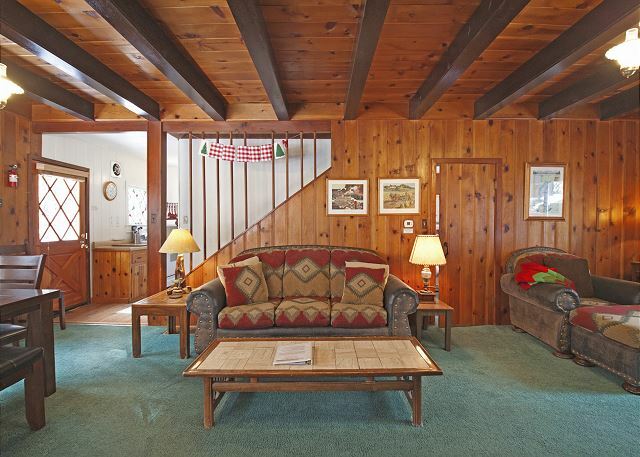 There is level access and parking for up to 5-6 cars. 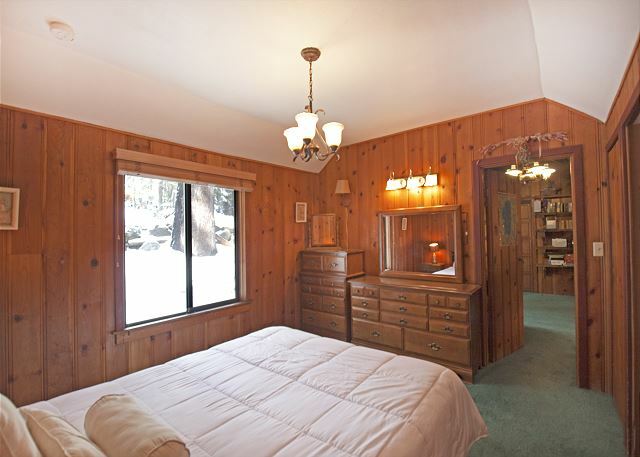 This house is walking distance to Tahoe Park's private beach area and is easily accessible to the bike trails. 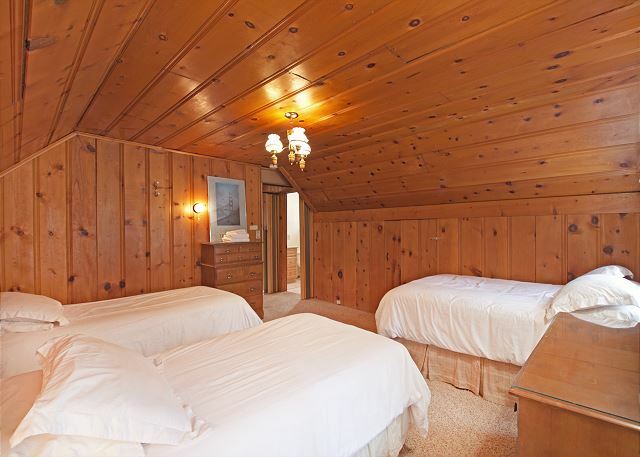 Cleaning fee of $200.00 includes and linens. 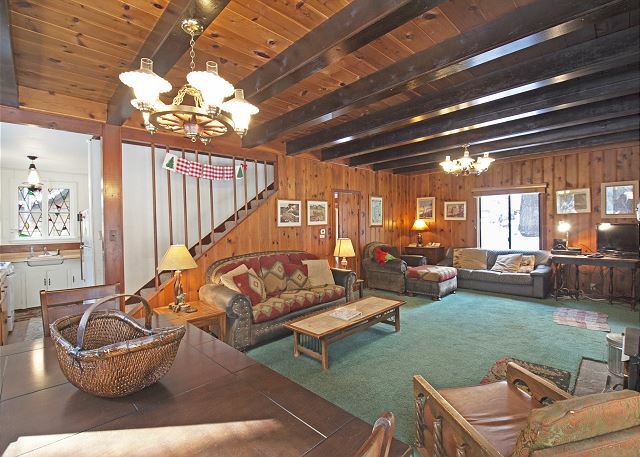 There is parking for 5 cars at this house during winter months.